Shipping Dimensions: 9" x 2" x 11"
Build an intruder alarm robot and learn how circuit works. It keeps any unwanted intruders out of your room! 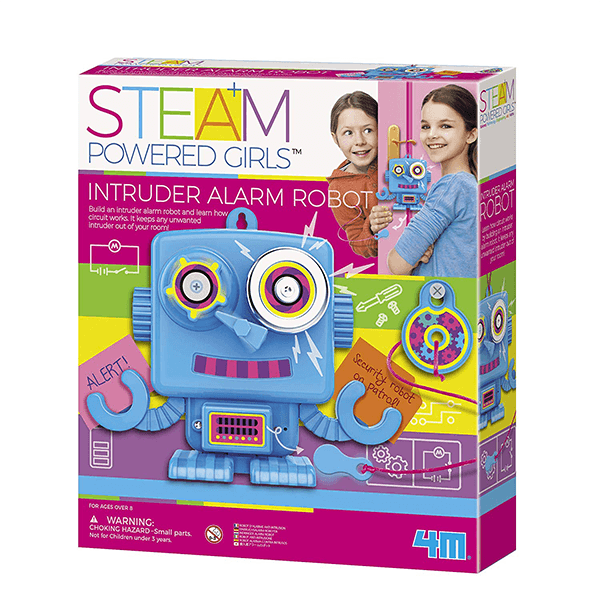 If You Liked 4m Steam Girls Intruder Alarm Robot, See More Related Products Below!